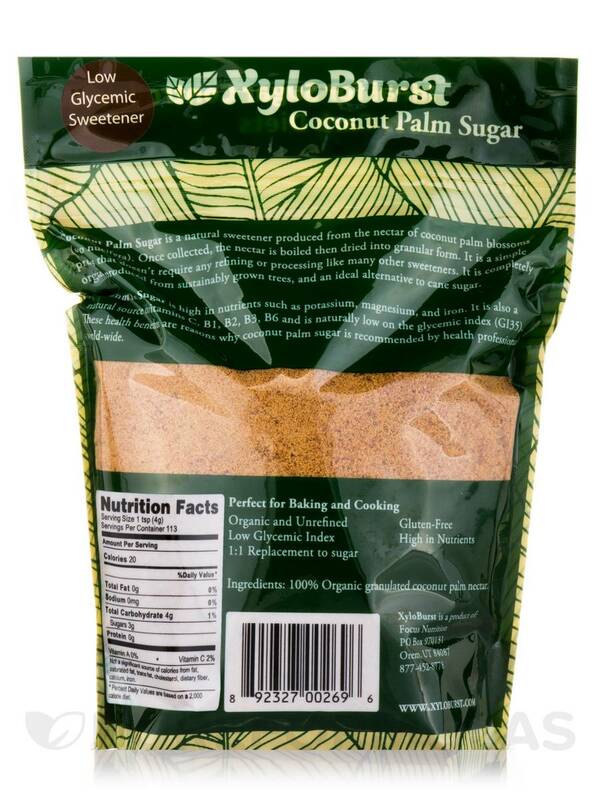 Coconut Palm Sugar is a welcome choice for anyone seeking an alternative to refined sugar. Compared to cane sugar‚ it's high in potassium‚ magnesium‚ zinc‚ and iron and is a natural source of vitamins B1‚ B2‚ B3‚ B6 and vitamin C. It also has a glycemic rating of 35‚ which means it is slowly absorbed in the blood stream. 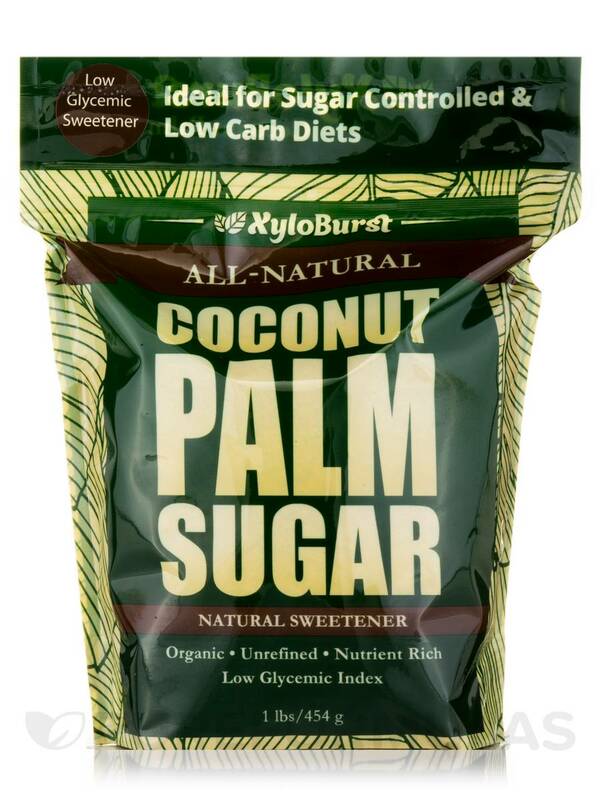 Palm Sugar is ideal for dieting or people with diabetes‚ as its energy is slowly released. It has a creamy caramel-like flavor which makes it an ideal substitute for recipes that call for brown sugar‚ molasses or honey. Palm Sugar is easy to use‚ dissolving easily in liquids or moist dough. Use it like you would sugar. - Ideal for Sugar Controlled & Low carb diets. Not a significant source of calories from fat‚ Saturated fat‚ trans fat‚ cholesterol‚ dietary fiber‚ calcium‚ iron. 100% granulated coconut palm nectar. 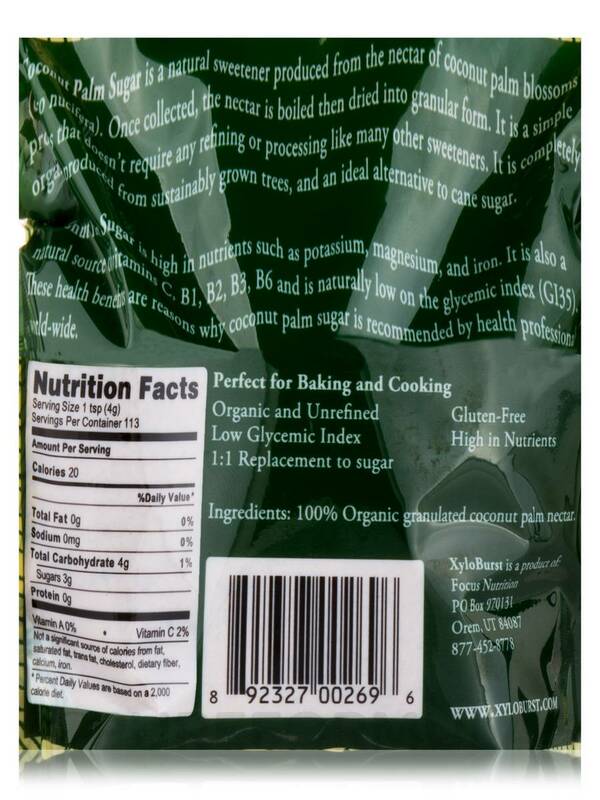 Organic and Unrefined / Gluten-Free / High in Nutrients. Perfect for Baking and Cooking. My Lebanese Baklava recipe called for using coconut palm sugar. I used this Coconut Palm Sugar by XyloBurst in my recipe and I was very pleased and delighted with the taste. The rest of the bag I will use when recipe calls for using regular or brown sugar. Coconut palm tree is proclaimed as being more nutritious and lower on the glycemic index than sugar. This Coconut Palm Sugar by XloBurst is a very good product.The price is right,the quality is good and overall everything is all right.